Patterson Ave. (VA 6 west, just over Goochland/Henrico county line), Richmond, Va. Built at a cost of $275,000, it featured an outdoor seating area in front of the snack bar, a teen dance pavilion, and a playground in front of the screen featuring a motorized merry-go-round. 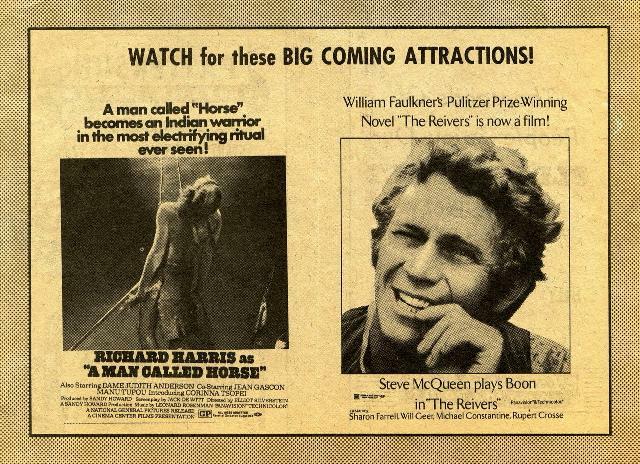 Opening features were Disney's That Darn Cat and Elvis' Harum Scarum. Click here to see the 1996 USGS map depicting the Patterson and surrounding area. 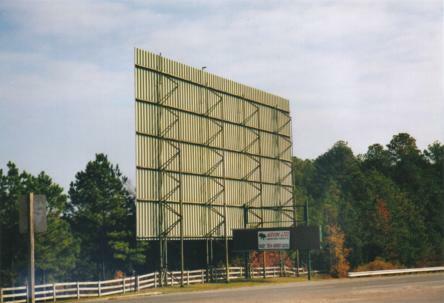 Click here to see a 1994 aerial photo of the drive-in. 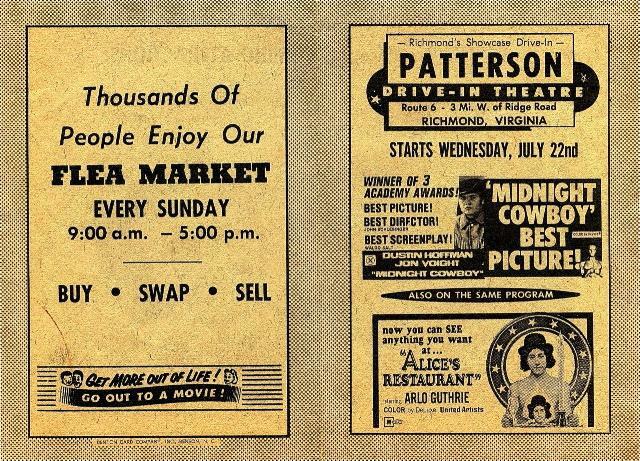 Opening night ad, May 27, 1966. 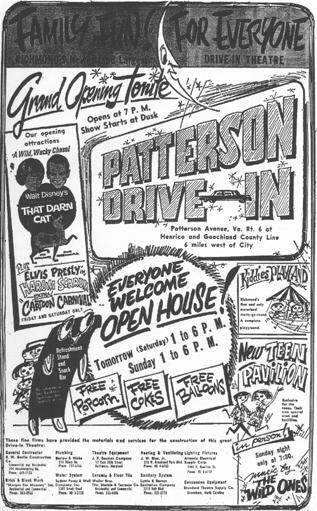 Thanks to Richard Webb for this Patterson handbill, most likely from July 1970.